So go on. 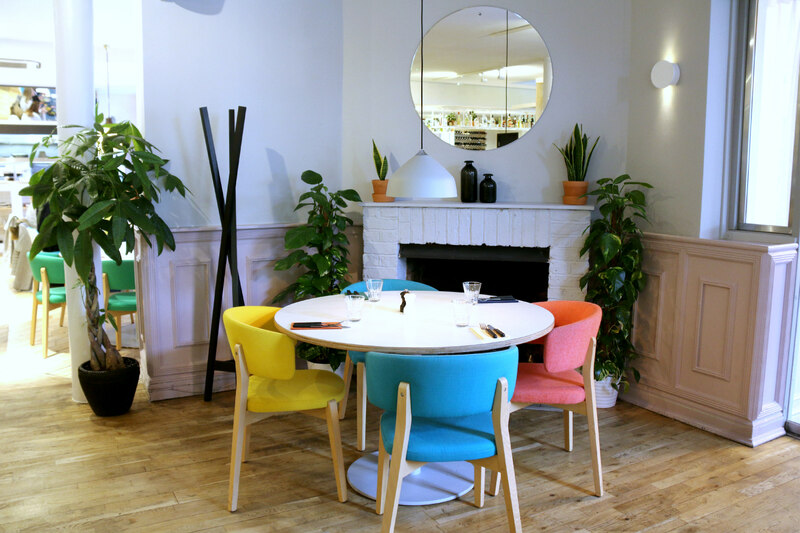 Choose your favourite space: the bar has a stylish New-York vibe, the room by the open kitchen a homier one and lets you get a glimpse of what’s cooking, there is even a stunning terrace opening in May, perfect to catch up with friends for hours. Start with a drink! We tried their camomile Manhattan, the rye gently infused with blooms then balanced with vermouth and chocolate bitter. Classic elegance with a twist: the floral just enough to enhance the spirit, the cacao, making the taste linger a few seconds more on your lips. 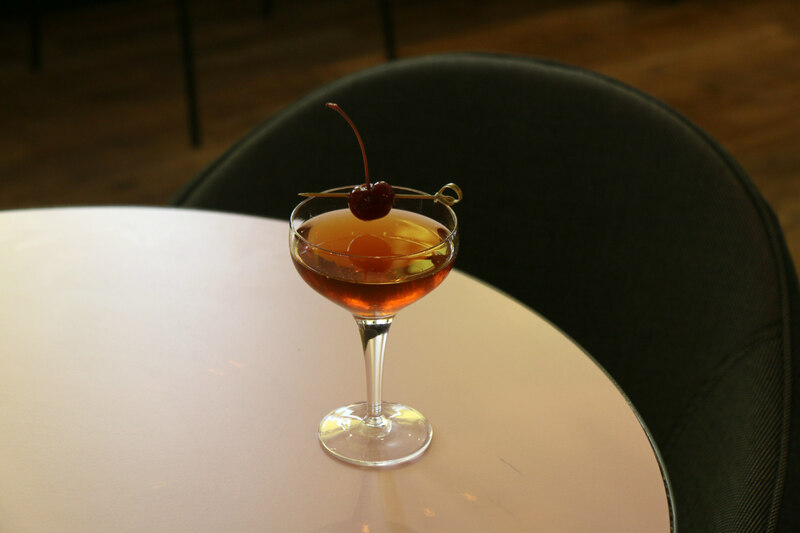 The cocktail-soaked cherry is just pure decadence. Then comes the feast. The menu offers a choice of small platters to share. 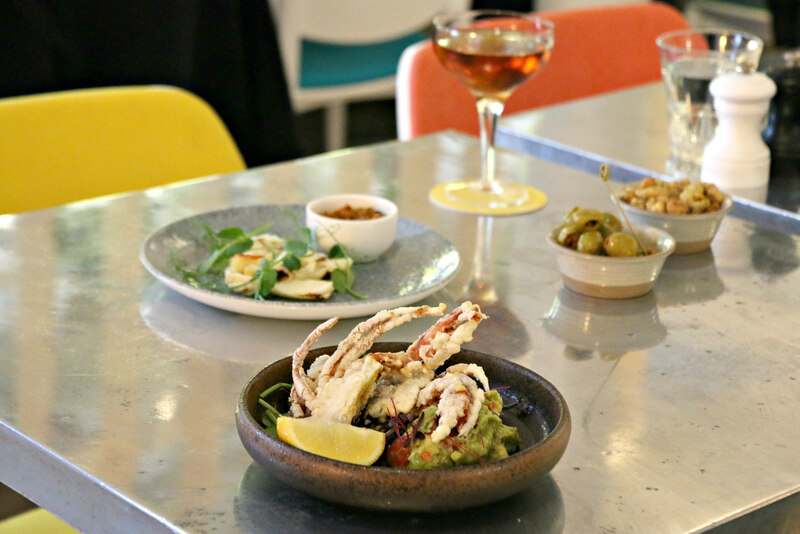 The soft-shell crab, perfectly seasoned, tender and fragrant, is an absolute must. Just add a dollop of freshly made guacamole, made even juicier by halved cherry tomatoes to each forkful! 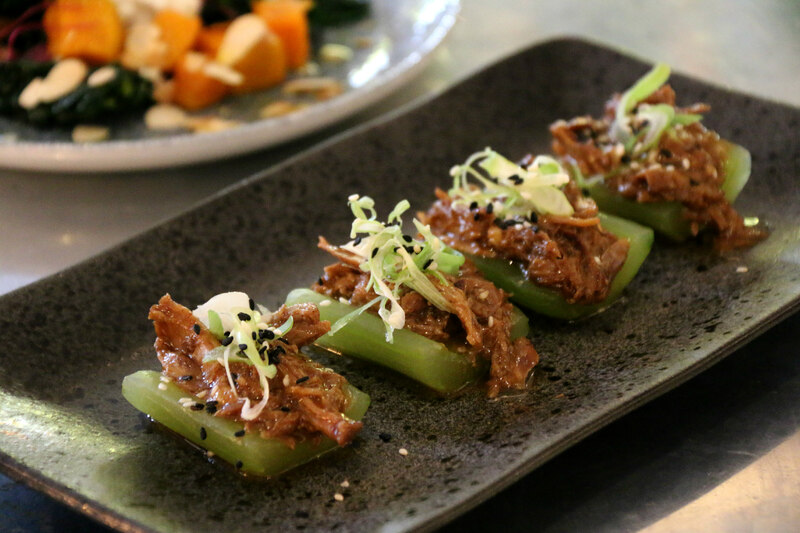 We equally loved the Vietnamese inspired crisp duck: the meat, shredded, was marinated in plum sauce and served in refreshing cucumber batons. A beautiful play on textures. 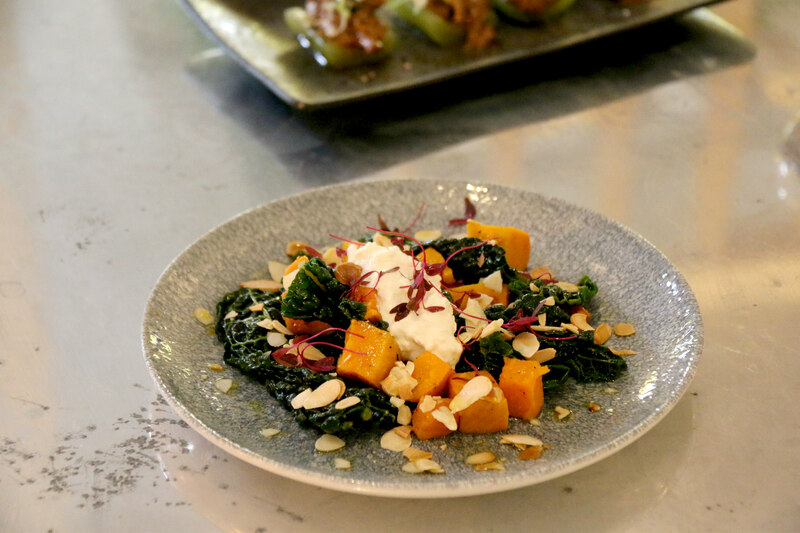 The star, though, was the butternut squash and cavolo nero salad topped with cottage cheese and toasted almonds. Simple but absolutely enchanting. The leaves offer a gentle citrus note, the squash malts in your mouth, everything blends into harmony. It’s addictive: never has healthy tasted that good. You have seen nothing yet. The dishes that really will make you swear loyalty to Pomona’s. 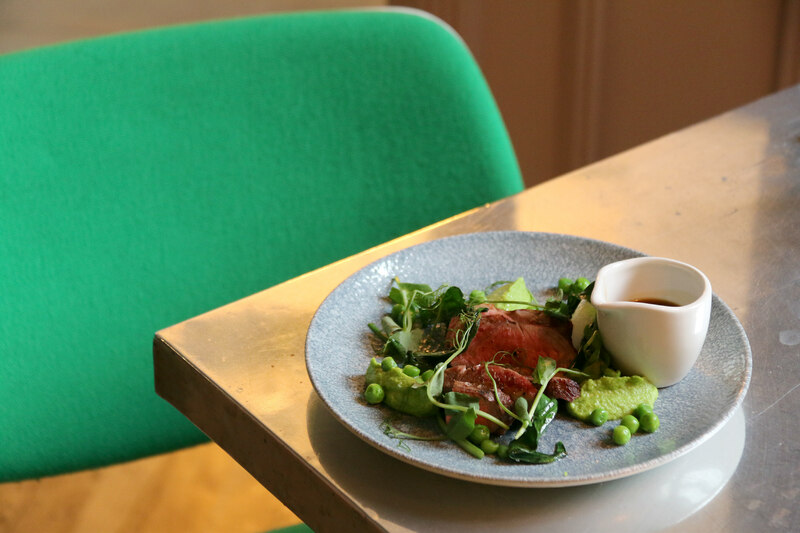 It’s love and first sight and at first bite combined… Look at the first place, a quintessence of spring: Welsh lamb rump, puréed peas with goat curd, fresh peas and pea shoots and mint jus on the side. It reminds me of a painter’s palette, beautifully composed. Combining each ingredient is a wonderful culinary journey. The Iberico pork pluma may look less artistic but cooked like the lamb on a BERTHA grill, is incredibly fragrant. 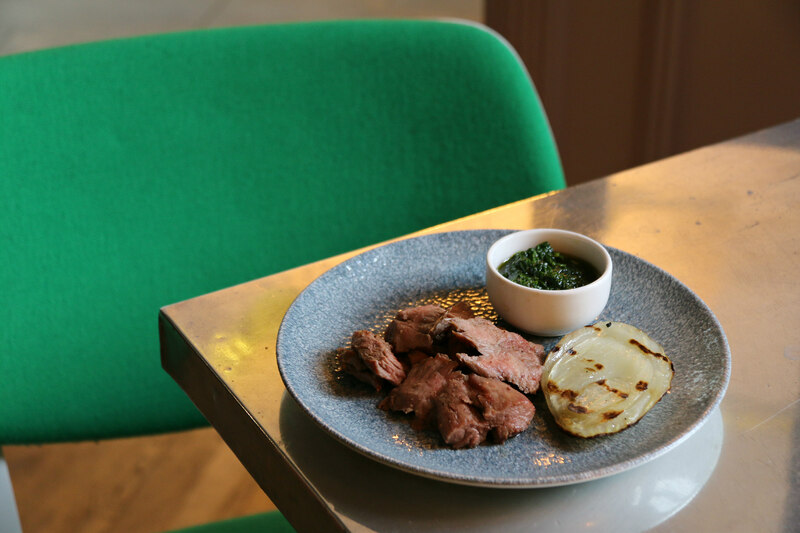 You will instantly forget the braised fennel and salsa verde, amazed at how juicy the meat is. I would have it for breakfast would they serve it that early. 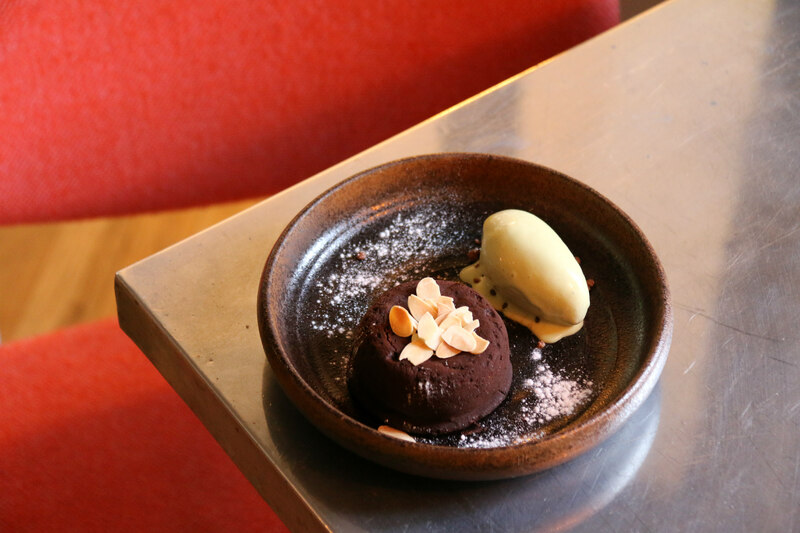 Dessert comes with its share of surprises too. 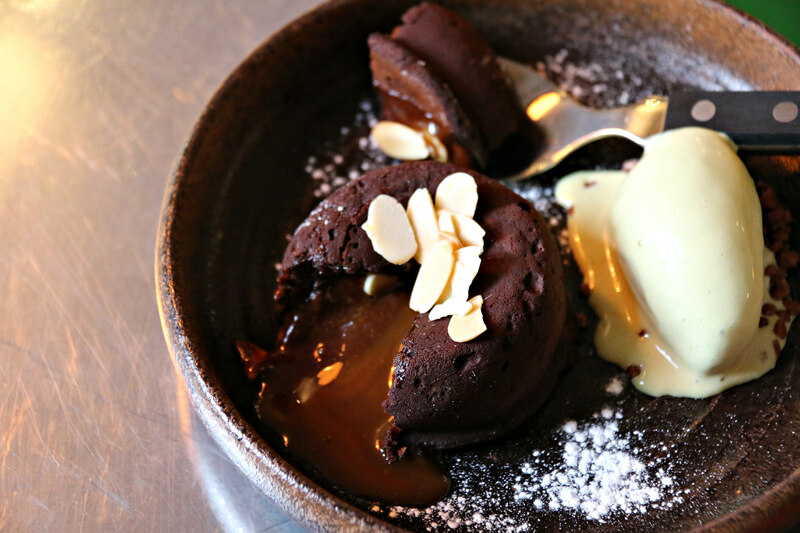 The chocolate moelleux, for example, will reveal a heart of oozing salted caramel, glistening like gold in the daylight. It’s impossible to decide whether you want to devour it or slow down and enjoy each mouthful as long as you can. 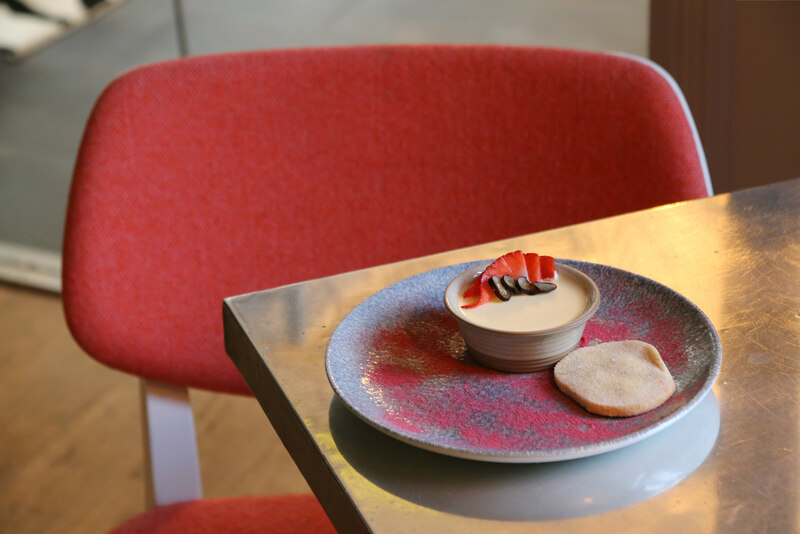 The lemon posset has a wonderful lemon curd meets crème fraiche quality but what will wow you is the explosion of flavours once you combine it with fresh strawberry of the raspberry powder sprinkled on the plate.